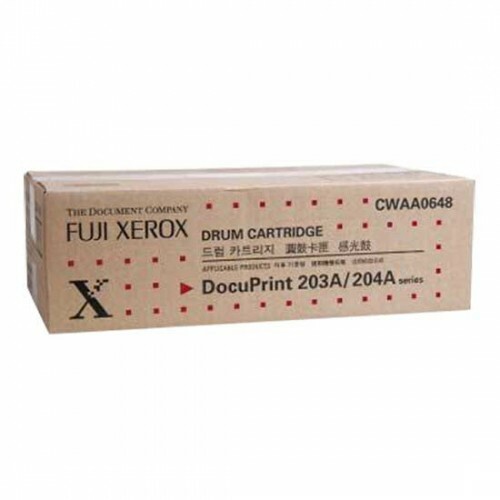 A genuine Fuji Xerox CWAA0648 Drum Unit. Caution: The drum cartridge and toner cartridge for these printers are different consumables. For use in Fuji Xerox DocuPrint 203A and DocuPrint 204A series printers. Open the front cover and locate the control panel button under the LED lights on the left side. ​Press the control panel button until all lights are lit and then release it. The Drum counter is now reset.